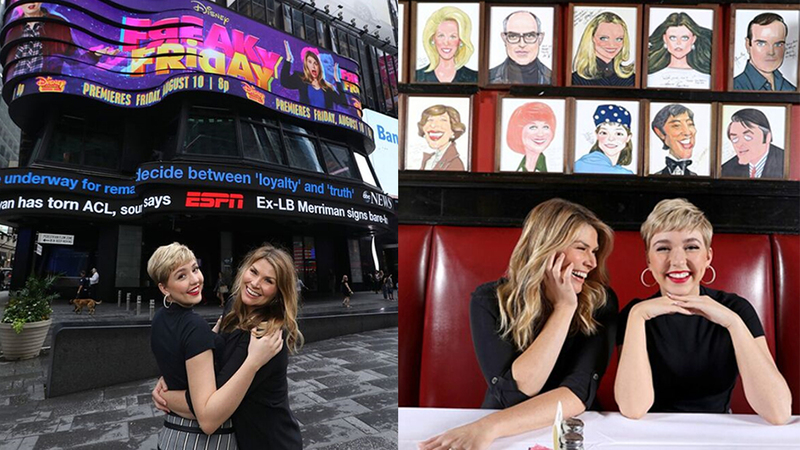 NEW YORK (WABC) -- The stars of the new TV movie "Freaky Friday" paid a visit to Broadway ahead of the film's premiere on The Disney Channel. Adapted from Disney Theatrical Production's stage show, "Freaky Friday" is a body swap comedy about a mother and daughter who magically spend a day in each other's shoes. It stars singer/actress Cozi Zuehlsdorff as the daughter and Broadway actress Heidi Bickenstaff as the mom. The two visited the Great White Way Wednesday afternoon and took in some of the sights, including a trip to the iconic restaurant Sardi's. "Freaky Friday" premieres Friday, August 10 (8:00 p.m., ET/PT) on Disney Channel and DisneyNOW. The Disney Channel is owned by the same parent company as WABC-TV.